What Else Could We Learn About Marriage? We thought we knew it all, but the Weekend to Remember® marriage getaway gave us practical help that was built on a solid foundation of biblical truth. My husband and I value our marriage above all else. We consistently seek wisdom from every book, professional, and Scripture that we can find. We want our marriage to be like a balm for the soul instead of a constant struggle. 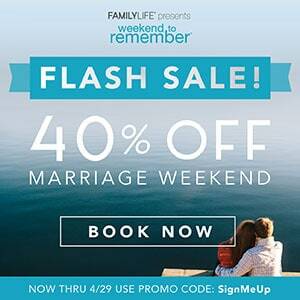 We thought we’d learned everything there was to know about navigating the tricky waters of marriage together as a team—until we discovered FamilyLife’s Weekend to Remember marriage getaway. If someone had told us we could receive some of the best and most practical advice we’ve ever found over the course of just one weekend, we would have never believed them. Going into this retreat, my husband and I felt like we had a rock-solid relationship that was hard-won after years of chaos and turmoil in our home. Our 6-year-old marriage has already survived two tumultuous adoptions of older children, both of whom have challenging behavioral issues. In order to keep the peace in our home, we’ve been forced to communicate with one another constantly. So we felt like we didn’t have much left to learn about one another or how to function in our marriage relationship. We weren’t completely sure what to expect when we arrived. However, we were pleasantly surprised to find it was an immediate joy for both of us. From the very first session, we were hooked on the message being given. The speakers were extremely relatable (and funny! ), making them a pleasure to listen to over the course of the weekend. The sessions were far from boring and were broken into manageable chunks that left us with plenty of material to digest during our breaks. The information presented was practical, built on a solid foundation of biblical truth. Each speaker and session left us with actionable steps that we could apply to our relationship. From communication styles to leaving a legacy, there was no aspect of marriage that was left untouched by this comprehensive curriculum—and I mean no subject! They approached even the most delicate topic of intimacy with bravery, scriptural truths, and real-life examples that made me double over in laughter. 1. Ask for and extend forgiveness. One of the most practical things we took home from the weekend were the actionable steps toward conflict resolution. We rarely fight, but when we do, it can feel like an all-out war. We are both determined to be right. The getaway gave us practical examples of what it means to serve your spouse instead of searching for the upper hand in every argument. It was eye-opening to realize the damage that we could do to our relationship when the alternative is so much more appealing. The short lectures gave us the framework to ask for and extend forgiveness to one another, including the exact words to say. We left without any questions about how to apply this crucial lesson to our marriage. 2. Take time to talk with one another—and listen! It might seem like common sense that you have to take time to talk to your spouse if you want to have a solid relationship. However, this is something that can quickly fall by the wayside with the busyness of everyday life. The Weekend to Remember reminded us how important it is to communicate honestly and openly with each other. We had an entire weekend laid out before us with plenty of time to be intentional with one another. Not sure where to get started? The projects that are assigned throughout the weekend give you plenty of talking points to help strengthen your relationship. 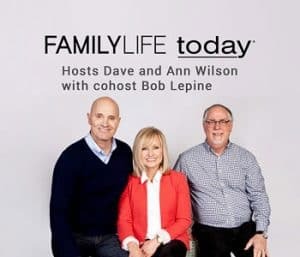 You can tackle any areas where your marriage feels weak and learn about the different communication styles and more as you journey through these projects. And remember to take the time to listen to what your spouse has to say—even if it is difficult to hear. We all bring our own preconceived notions into our marriages about what intimacy is and how it should play out in our marriages. But it’s difficult to discuss it openly with our spouse. This conference taught us that if we want to move forward in oneness, we need to start tackling some of these uncomfortable concepts that are crucial to our relationship. The speakers gave us the scriptural basis for intimacy in a marriage relationship and what holds us back from experiencing the true oneness that our relationship was created for. Through a combination of humor, personal insight, and biblical truths, my husband and I were able to identify areas where we were falling short in our marriage. 4. Connect to God first. One of the most practical pieces of advice that we received over the course of the weekend was to connect with God first and our spouse second. Many of us look to our spouse to fill the space in our lives that only God can truly occupy. Our spouses make poor gods for us and can quickly become idols in our lives—a role they were never created to fulfill. We have to get right with God first as individuals before we can expect for our marriage relationship to succeed. Spend time in the Scriptures and in prayer with your focus on the Lord. 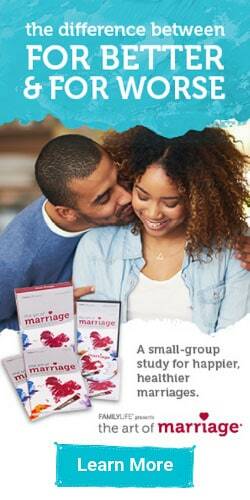 Only then can you truly experience the oneness that your marriage was designed to have. After spending a few days examining our relationship in light of the lessons being taught at Weekend to Remember, we felt encouraged in every area of our marriage. Our relationship is solid, but there are some particularly tricky areas we needed to work on. This weekend getaway provided us with a much-needed jumpstart to begin working through those things and I know we can joyfully continue to work toward unity and oneness in our relationship for decades to come. This is definitely one marriage retreat that we will revisit again in the future.